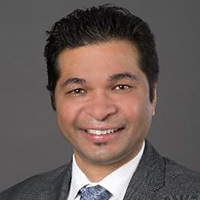 Sorabh Saxena, SVP, Software Development & Engineering – Technology Development, AT&T Services Inc.
Major evolutions are occurring in WAN, LAN, and PAN. 3GPP has a major project to develop a new 5G air interface, called NR (New Radio), and a 5G core network, called NGCN (NextGen Core Network). IEEE 802.11 has been developing 802.11ax-its most important amendment since 802.11n. The Bluetooth SIG is developing Bluetooth 5.0. The lines between air interfaces are being blurred with operators that traditionally use licensed spectrum augmenting their networks with 802.11, and, more recently, with the development of LAA (License Assisted Access) and MulteFire, variants of LTE, operating in unlicensed spectrum. The specialized needs of IoT and the automobile industry are leading to optimizations of existing air interfaces, and the development of specialized air interfaces, such as NB-IoT. The rapid growth of data traffic and 5G developments are putting pressure on countries to identify and allocate additional licensed spectrum, both below 6 GHz and mmWave. Since spectrum cannot always be cleared of existing users, more sophisticated approaches to spectrum sharing are being developed, such as the SAS-based approached being used for 3.5 GHz in the US. This presentation will examine and provide a perspective on developments and technologies at this extraordinary time in communications. Biography: Dr. Edward G. Tiedemann, Jr. is a QUALCOMM Fellow and a Senior Vice President of Engineering of QUALCOMM Technologies, Inc. He leads QUALCOMM’s worldwide standardization and industry organization activities. Dr. Tiedemann was instrumental in the design and development of the TIA/EIA/IS-95 CDMA system, also called cdmaOne™. He led QUALCOMM’s and much of the industry’s efforts in the design and development of the third-generation cdma2000® system. He also sits on the Advisory Board of the Purdue University School of Electrical and Computer Engineering and is a member of the Peabody Essex Museum Asian Export Art Visiting Committee. The potential for a civilian Internet of Things (IOT), and the prospect for a Battlefield Internet of Things (BF-IOT), distinguished by unprecedented real time access to large volumes of multimodal data, is the consequence of proliferation of embedded sensors in commercial, military naval, ground and aerial devices. This talk argues that new methods for characterizing, representing and processing the information content of multimodal data must be developed if advances in networked systems and distributed computing are to transform how we operate and compute. Even more, the discussion urges that the traditional computing and communications methods must be revisited given new challenges posed by ever growing massive data. It will be argued that some new fundamental limits of information and learning from multimodal data must be established which must depend on the objectives, capabilities, etc. Additionally, future algorithms for representing, modeling, processing, and communicating information must be adaptive and robust to dynamic changes in environment, scalable to many distributed signal processing agents and their resources, and able to learn from experience. 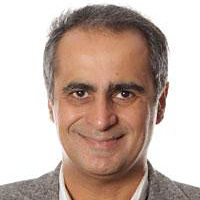 Biography: Vahid Tarokh is a Professor of Applied Mathematics, Senior Research Fellow in Electrical Engineering and a member of Center for Mathematics and Applications at Harvard University. 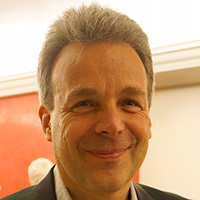 His main current research interests are in applied and computational mathematics. In the past, he has published on Lie groups and algebras, lattices, graphical models, pseudo-randomness, information theory, random matrix theory, coding, communications, pricing and scheduling, statistical signal processing (including adaptive algorithms) and applications (e.g. MRI and EEG signal processing), radar and distributed astronomy. He has been selected as a Guggenheim Fellow in Applied Mathematics (for his work on random and pseudo-random matrices), and has received four honorary degrees. Government regulation has sometimes played a larger role than technology in determining the level of cybersecurity. Two “wars” have been fought over that issue, and a third is in progress. Hellman was a key participant in the first such war of the late 1970s, leading the fight to increase the Data Encryption Standard’s 56-bit key size, and publishing papers on public key cryptography in spite of threats that doing so was a crime under US law. The second “crypto war” of the mid-1990s concerned export controls, Clipper Chip, and key escrow. Hellman served on a Congressionally mandated study that accomplished the seemingly impossible by enhancing personal privacy through strong encryption, while also benefiting law enforcement and national security. This talk reviews those earlier battles and draws lessons for resolving the current conflict in ways that also could benefit all parties. What is needed forms a chapter in his co-authored book that emphasizes the value of getting curious, not furious when conflicts arise. 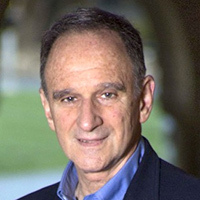 Biography: Martin Hellman is Professor Emeritus of Electrical Engineering at Stanford University. He is best known for his invention, joint with Diffie and Merkle, of public key cryptography, the technology that enables secure Internet transactions. He also has been a long-time contributor to the computer privacy debate. He is a Fellow of the IEEE and a member of the US National Academy of Sciences, Engineering, and Medicine. Among his many other honors, he and Diffie recently won computer science’s top prize, the ACM Turing Award. He is using his half of the associated million dollar prize to publicize the ideas in the book he and his wife just released, A New Map for Relationships: Creating True Love at Home & Peace on the Planet. Technologies today are introduced and evolve at a dizzying pace - 5G, the IP transition, the evolution of Wi-Fi, Bluetooth and other technologies operating in unlicensed spectrum, the Internet of Things, unmanned aerial systems, driverless cars, dynamic spectrum access, and new broadband satellite systems - to name a few. This talk will cover the landscape of technology developments and the FCC's innovative approaches to facilitate their introduction. This presentation will also discuss how technology developments help solve existing problems, pose new challenges, and areas where more work is needed to benefit consumers and businesses. Biography: Mr. Knapp has been with the FCC for 42 years. He became Chief of OET in 2006. Mr. Knapp previously served as a Deputy Chief of OET from 2002 – 2006. Prior to that he was the Chief of the Policy & Rules Division where he was responsible for FCC frequency allocation proceedings and for proceedings amending the FCC rules for unlicensed radio frequency devices. 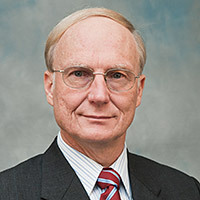 Mr. Knapp was Chief of the FCC Laboratory from 1994 – 1997 where he was responsible for the FCC’s equipment authorization program and technical analyses. He has received the FCC’s Silver and Gold medal awards for distinguished service at the Commission. In 2013, he received the Presidential Distinguished Rank Award for exceptional achievement in the career Senior Executive Service of the United States of America. Biography: Sorabh Saxena, Senior Vice President of Software Development & Engineering, is leading transformation of IT and AT&T’s evolution to a software-based company. He leads the delivery of AT&T’s Integrated Cloud, APIs, Data, Business Function and other software platforms. Additionally, he manages delivery and production support for the software defined network. Sorabh and his organization are responsible for technology solutions and architecture for all IT projects, AT&T Operation Support Systems and software driven business transformation programs leading to an integrated, cost-effective and digital first communication company. Sorabh manages 11,000+ resources, and leads cultural transformation initiatives enabling AT&T’s evolution to software and cloud-based company. Transitions in technology impute heterogeneity, sometimes in a transient way. However, the proliferation of new technologies, particularly in wireless and content distribution, networks, increasingly display a behavior where technologies overlap rather than, substitute each other. This type of persistent heterogeneity can thus be envisaged as, intrinsic and persistent, rather than treated as an imperfect approximation of a desired, ultimately homogeneous, platform. It will be argued that coding and virtualization are key technologies, for rendering such heterogeneity not just manageable, but beneficial, for performance, extensibility and robustness. Biography: Muriel Médard is the Cecil H. Green Professor in the Electrical Engineering and Computer Science Department at MIT and leads the Network Coding and Reliable Communications Group at the Research Laboratory for Electronics at MIT. She has co-founded two companies to commercialize network coding, CodeOn and Steinwurf. She has served as editor for many publications of the Institute of Electrical and Electronics Engineers (IEEE), of which she was elected Fellow, and she is currently Editor in Chief of the IEEE Journal on Selected Areas in Communications. She was President of the IEEE Information Theory Society in 2012, and served on its board of governors for eleven years. 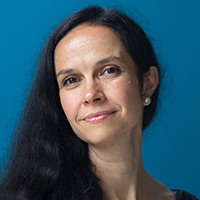 She has served as technical program committee co-chair of many of the major conferences in information theory, communications and networking. 5G won’t emerge from a blank slate, it needs to have a foundation. 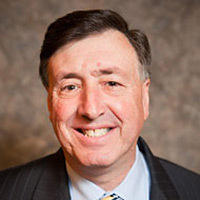 Michael will discuss key connectivity challenges, how new applications encompassing IoT, Augmented Reality, HD Video and services such as VoLTE that have become a cornerstone of the network landscape of today will shape what 5G will be able to offer. Further, Michael will present on What developments will make 5G a Reality? Where are we today? R&D efforts and use case outline, Standardization and definition updates, Next steps in development, trials and deployment, 5G needs a revolution in innovation. How Intel is contributing to this industry collaboration? Biography: Michael Stetter is Intel Fellow in the Platform Engineering Group and Chief Platform Technology Officer for Intel's Communication and Devices Group. He develops solutions to enable future mobile communications products and is responsible technology strategy and technology platform target-setting. Fostering innovations to address upcoming product challenges and enable new industry standards in mobile communications is one of his key imperatives.